For year one “concrete” thinkers, water is water, and soil is soil. 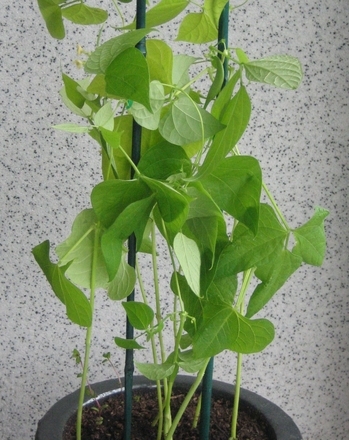 But then there’s the important scientific principle that plants must be watered, and the water must stay somewhere! Here’s a year one experiment that uses coffee cans, dirt, and sand to explore the question of whether soil and sand “contain” water. 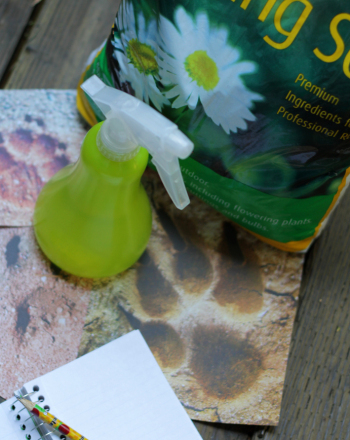 This activity helps kids observe and hypothesize. 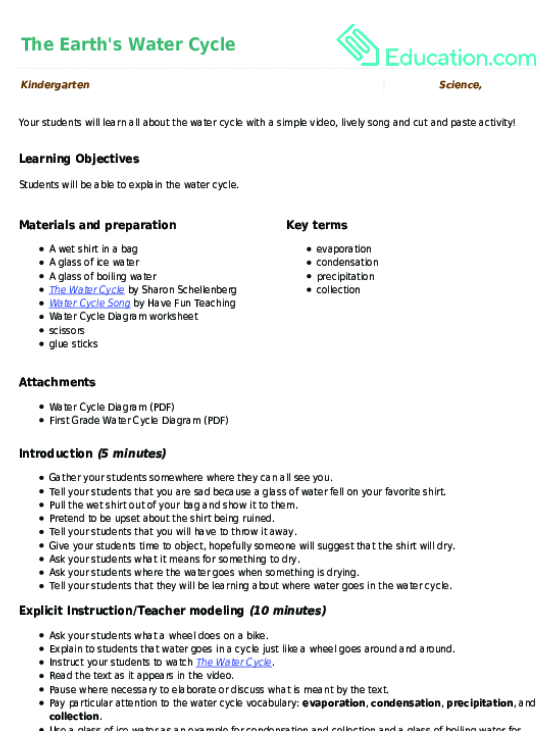 As a bonus, it ties into common year one curriculum on the water cycle. 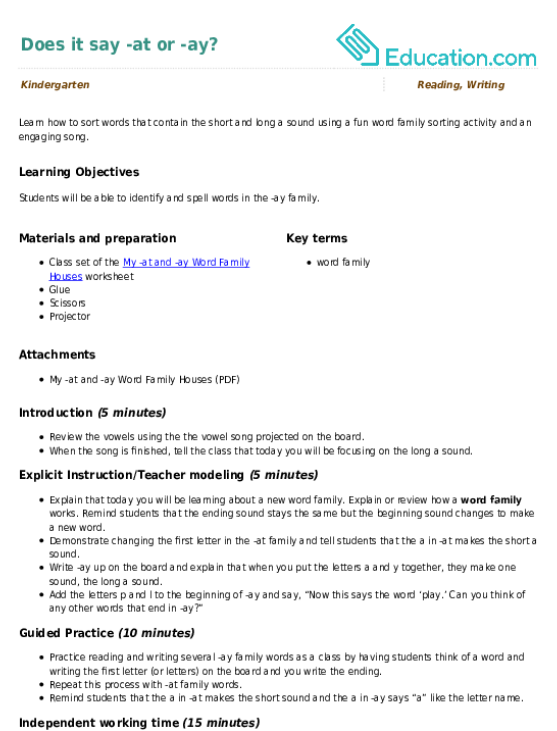 Make a guess (hypothesis) with your kindergartener. Ask if she thinks that dirt and sand contain water. Then ask how she can tell, and which one might hold more water. Then, line up your coffee cans and leave the first one dry and empty. Place black construction paper across the top of it, and tape it down at the edges. 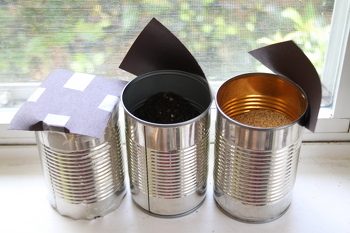 Now fill the next can half full with your garden dirt, and tape construction paper across the top as you did with the first can. Finally, fill the third can half full with sand and cover with the construction paper. Put all three cans in front of a sunny window and leave them there for a couple of hours. 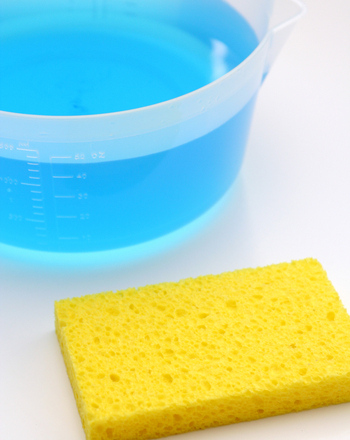 When you come back to observe, the paper on the top of the empty can should look dry and untouched. The paper on top of the dirt should be quite drenched. The paper on top of the sand will be slightly moist. 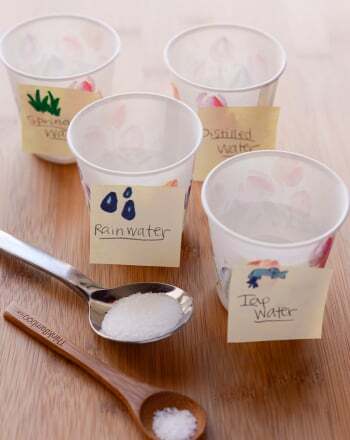 Talk like a scientist with your child: why is it important to know if soil holds water? What if we just planted in sand? Or dry air? Ask what this tells us about the importance of water in our world. 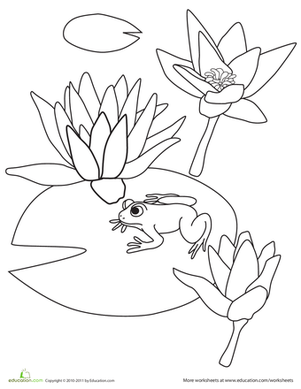 This water lily coloring page features a pond full of water lilies and a friendly frog taking a break on a lily pad. Whale water polo would be pretty wild! Add a splash of colour to this fun worksheet featuring alliterative animal sports. 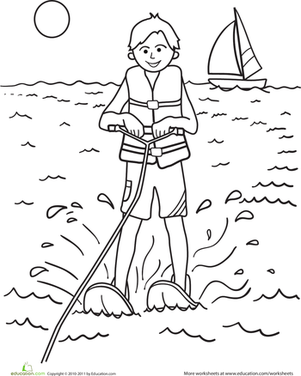 Kids boost their fine motor skills as they colour in this water-skier taking advantage of a warm, summer day. 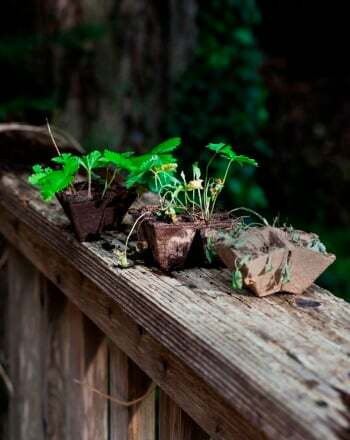 This project is a vivid, concrete introduction to the basic but important idea that plants need sunlight and water to grow. This maths worksheet teaches your kid that all living things need water, plus prompts him to count up the number of glasses on the page.